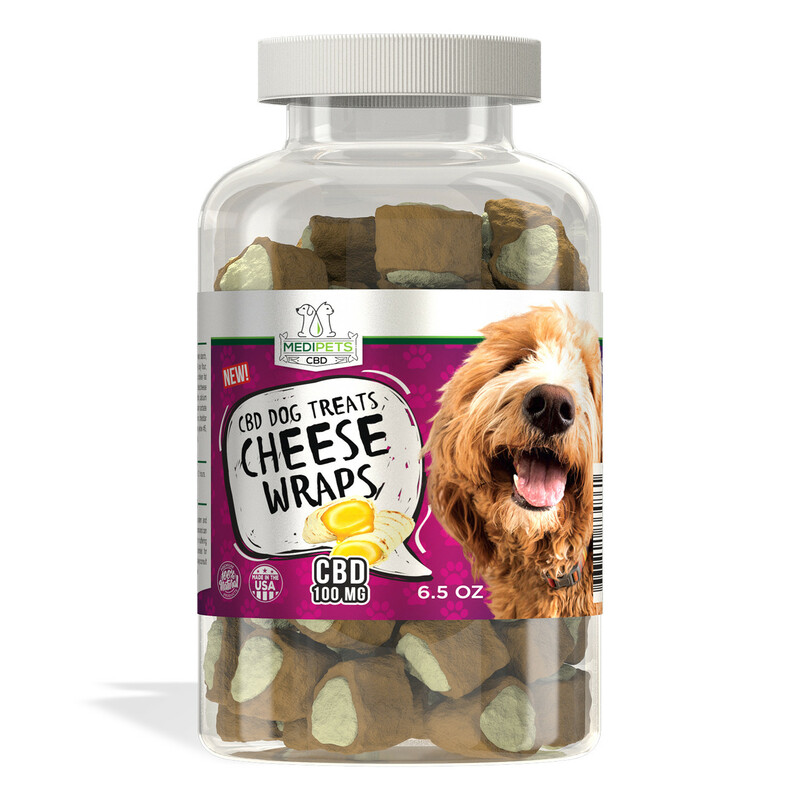 “MediPets CBD Dog Treats Cheese Wraps contain 3 mg of CBD per treat and have the cheesy flavor that will get your pups tail wagging. 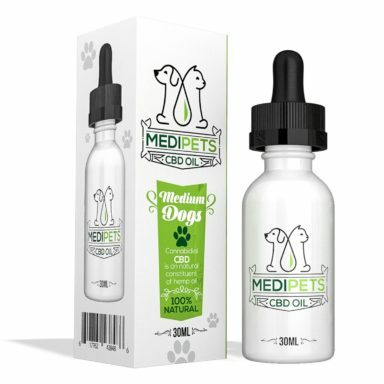 These CBD dog treats have 100mg of CBD per container and are made in the USA from industrial hemp oil. MediPets CBD Dog Treats Cheese Wraps are the CBD dog treats designed to support canine health and wellness. 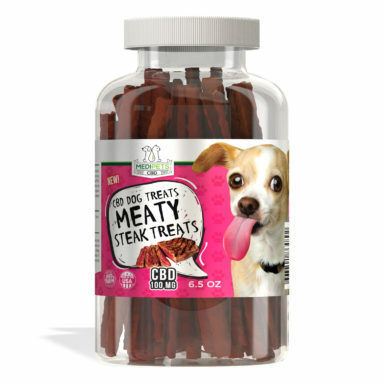 These CBD dog treats can be easily made part of your dog’s healthy daily routine. Get these CBD treats for your dog and keep his tail wagging!